The Corriedale sheep is found on sheep farms all over New Zealand. 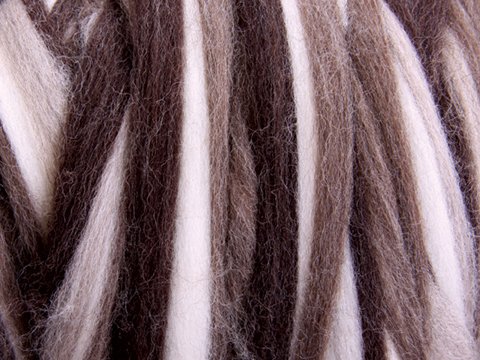 It’s wool has a clear even crimp and is smooth and easy to spin or felt. The sheep are well cared for and are not mulesed. Spin a fine to medium woollen, worsted or semi-worsted yarn. Corriedale will bulk after washing and has good elasticity. It is ideal for baby wear, woven, knitted or crocheted garments.